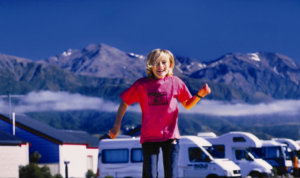 Twenty-four TOP 10 parks have been awarded 2014 Excellence Awards, while the North Island’s Papamoa Beach and South Island’s Kaikoura TOP 10 Holiday Parks have also won Travellers Choice Family category awards. 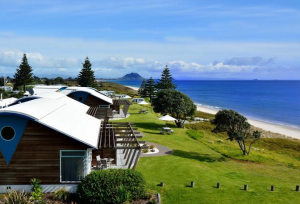 Synonymous with Kiwi family holidays, TOP 10 is the trusted name for top value accommodation at 49 spectacular sites throughout New Zealand. TripAdvisor is known globally as the one-stop-shop for reviews of all the best accommodation providers, restaurants and destinations worldwide with over 150 million traveller reviews. The internationally-recognised awards are based on traveller reviews from the last 12 months, with winners needing to maintain a high volume of reviews and a rating of four out of five or higher throughout the period. The Excellence Awards winners represent the top ten percent of businesses listed on TripAdvisor from across the globe. TOP 10 Holiday Parks CEO David Ovendale said he was “thrilled” with the news. “These are all outstanding awards that recognise the hard work and high levels of service offered by our holiday parks,” he said. Kaikoura owner Gerald Nolan said the holiday park offered some of the best facilities in town. “It’s great for families with an adventure playground, the popular jumping pillow, heated outdoor pool, private hot tub, games room, TV lounge and fun bikes for hire,” he said. Meanwhile Rebecca Crosby at Papamoa TOP 10 said she believed it was important to get to know her guests and provide the best holiday experience possible. “We really treasure our little slice of paradise in the Bay of Plenty, and we know all our visitors do too,” she said. Mr Ovendale said park operators had put their heart and soul into creating an amazing place for people of all ages to relax, unwind and enjoy. The accolades come on the back of TOP 10 Holidays Parks celebrating 30 years in business and the release of its new ‘Top Motel’ product. The sites are renowned for their park-like settings and family facilities, offering tent, motorhome and caravan sites. Top-quality motel accommodation is also available at 41 of the 49 parks, enabling visitors to enjoy a TOP 10 holiday year-round.